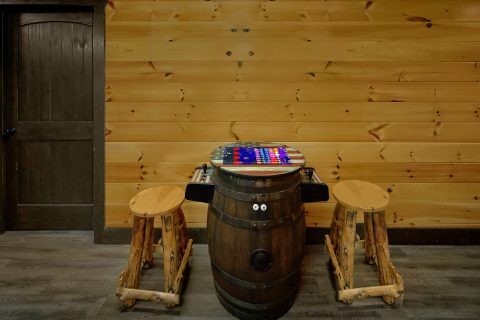 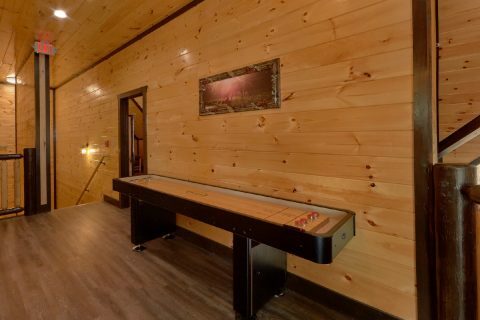 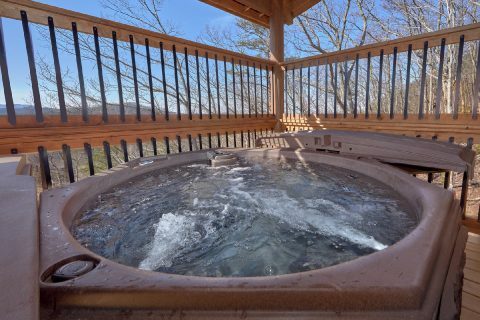 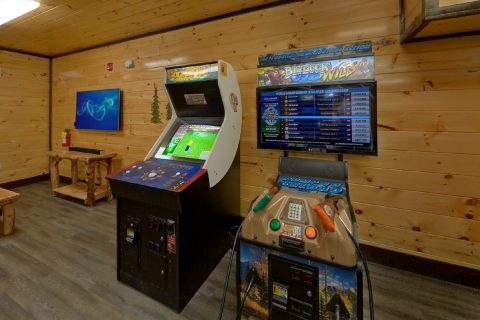 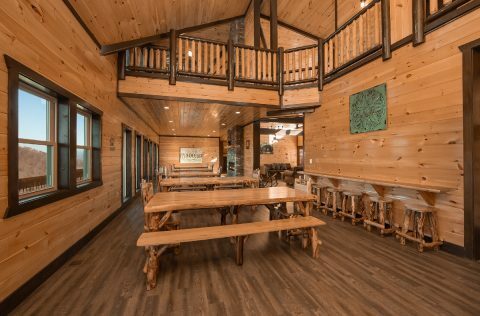 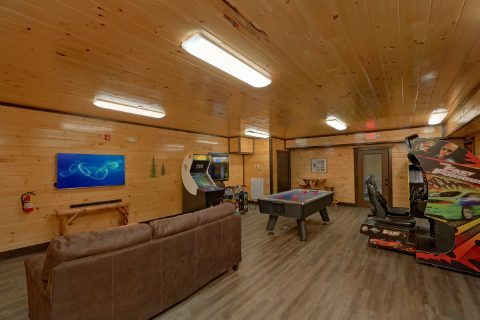 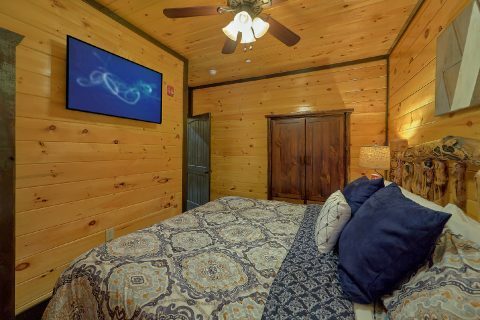 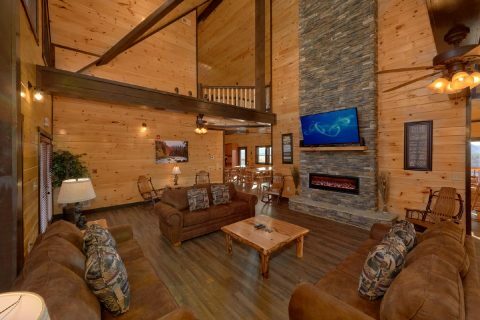 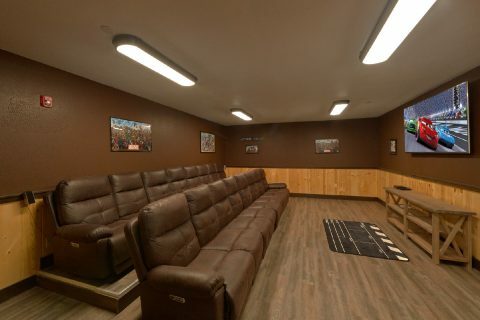 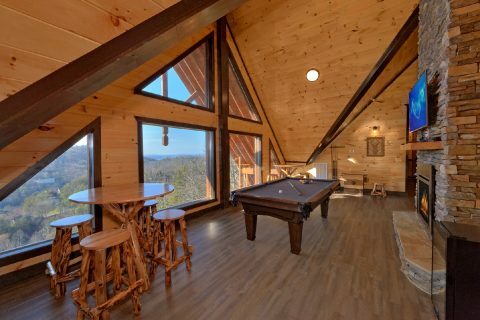 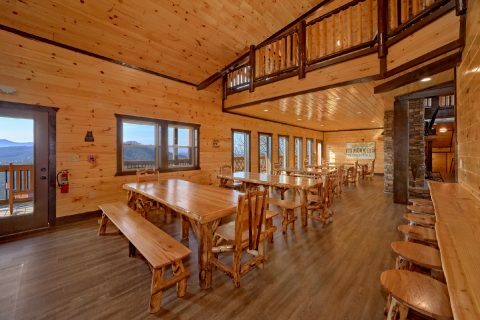 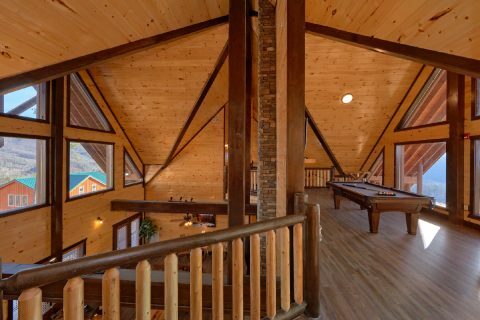 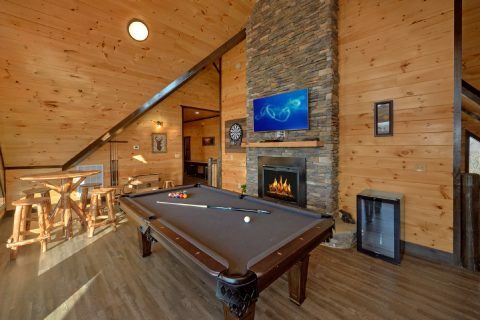 Nestled in the mountains near Pigeon Forge, you'll find "Smoky Mountain Memories," an impressive 12 bedroom luxury cabin with an indoor pool, outdoor resort pool access, a theater room, game room, 2 hot tubs, and more! 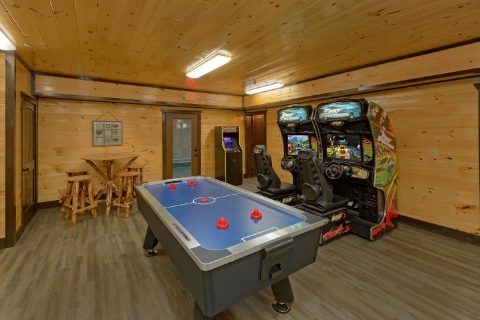 Thanks to this cabin's prime spot in the Sherwood Forest Resort area, guests of this large group cabin can enjoy outdoor resort pool access courtesy of the resort. 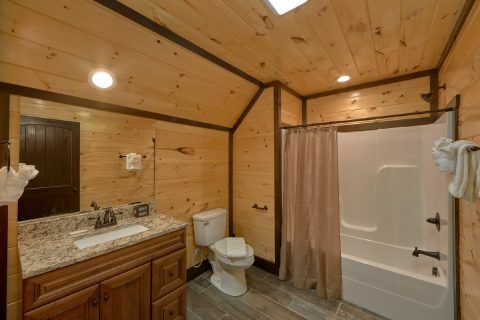 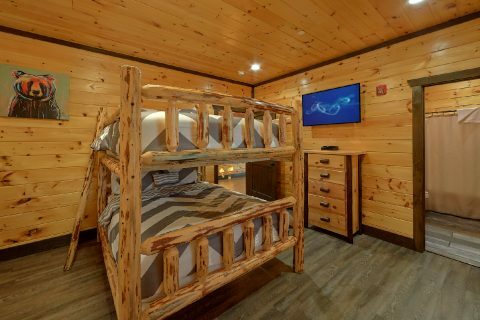 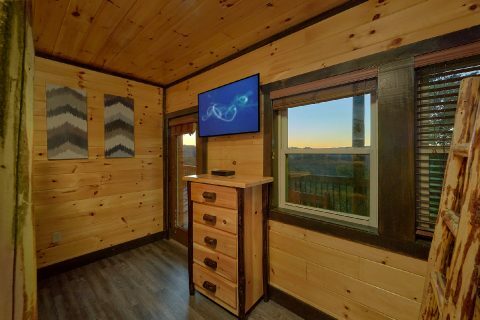 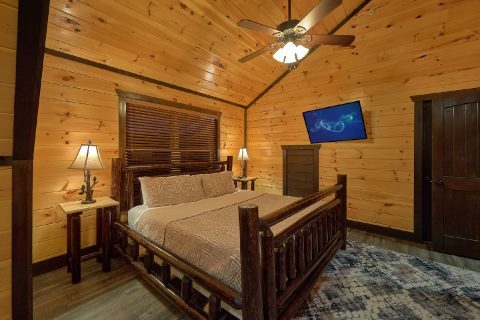 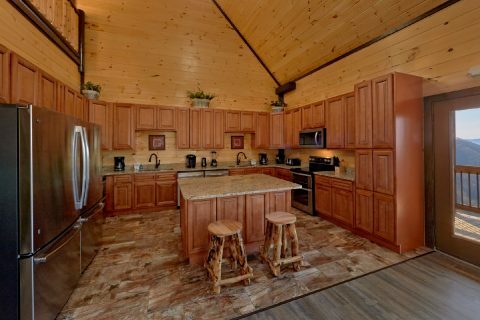 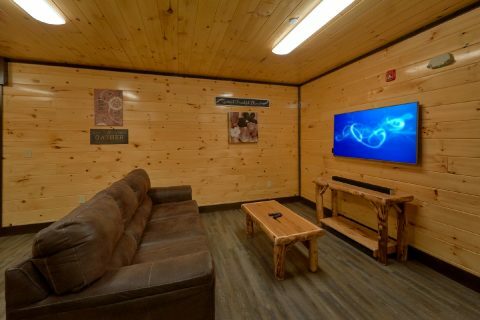 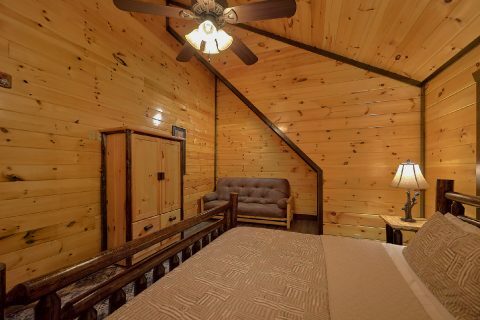 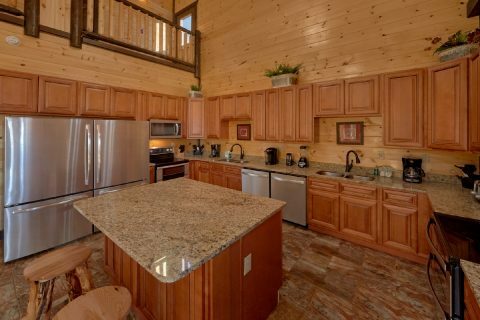 Better yet, this cabin keeps vacationers only 2 miles away from Downtown Pigeon Forge where you can experience fun attractions like The Island, Dollywood, and The Titanic Museum. 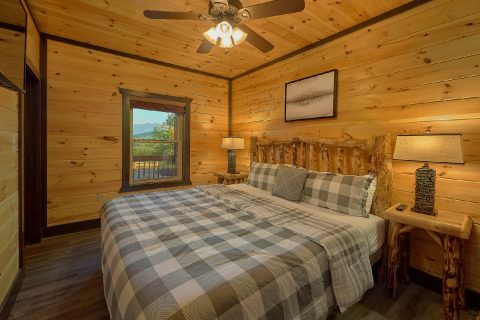 Other destinations like Downtown Gatlinburg and the Great Smoky Mountains National Park are only a short drive away up the scenic spur road. 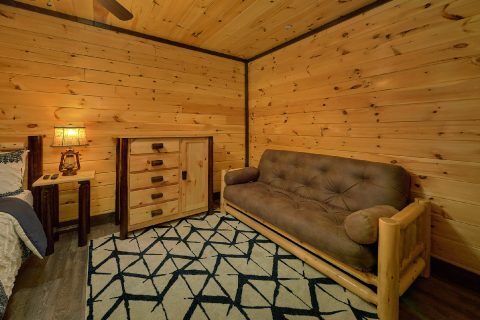 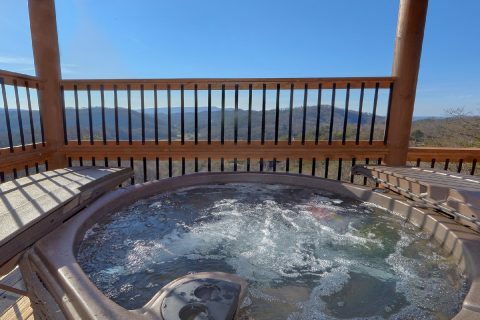 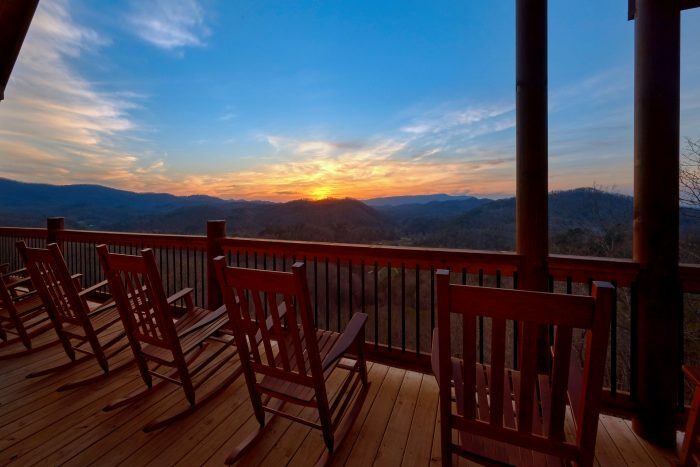 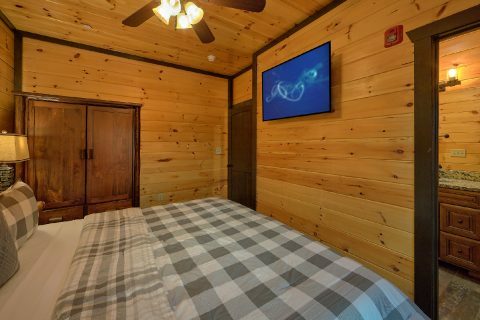 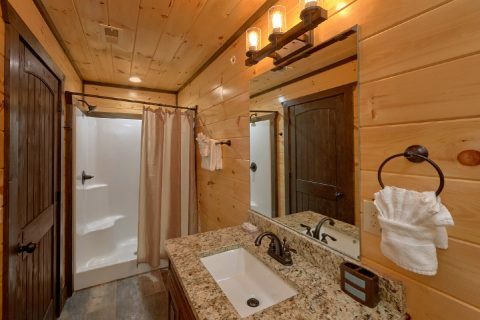 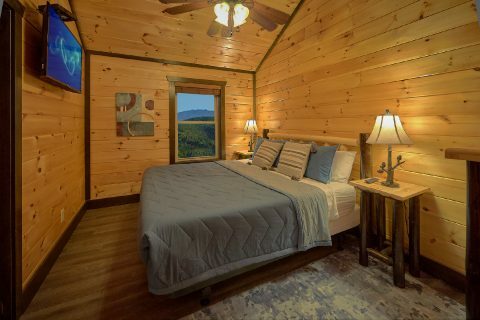 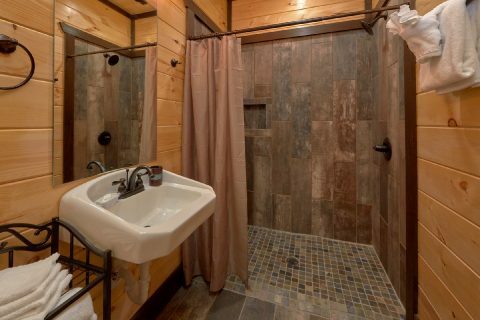 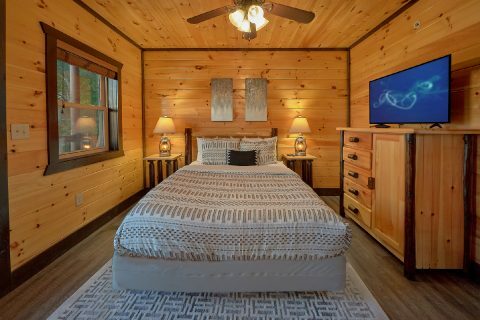 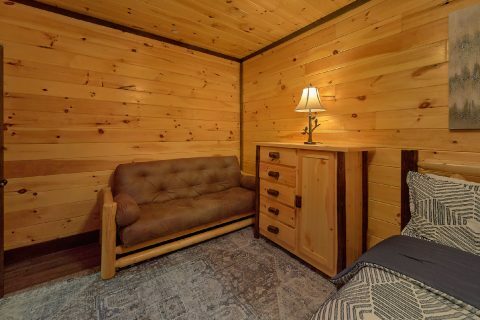 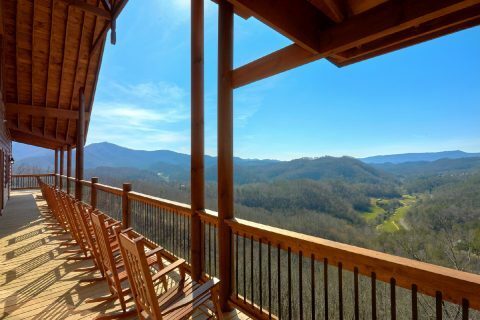 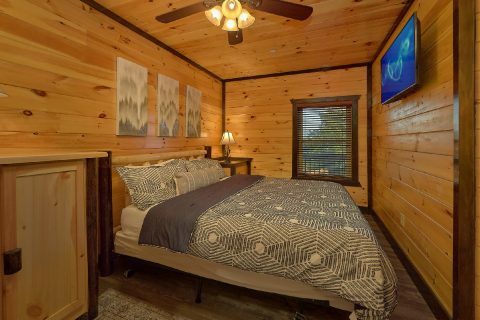 When you aren't busy exploring the beautiful sights of the Smokies or visiting fun attractions in town, you'll love unwinding at this spacious luxury cabin that sleeps up to 48 guests. 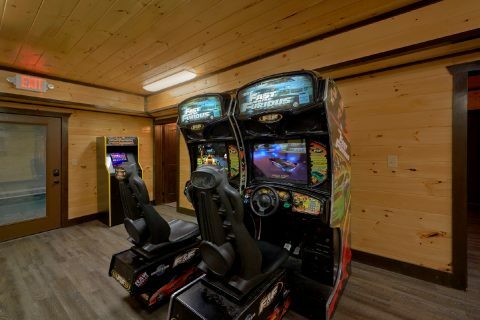 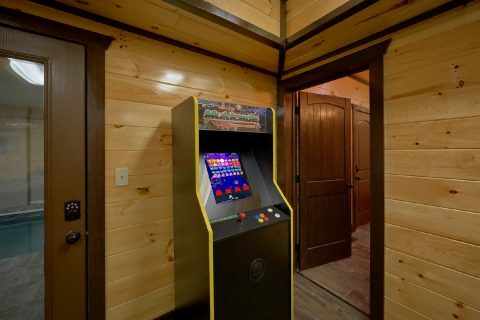 In addition to offering a theater room, 2 hot tubs, 2 electric fireplaces, and two game rooms with a pool table, shuffleboard, air hockey, a Golden Tee arcade game, a Buck Hunter arcade game, and two Fast and the Furious race car games, this cabin also provides practical amenities like a full kitchen, a charcoal grill, WiFi Internet, and a washer/dryer. 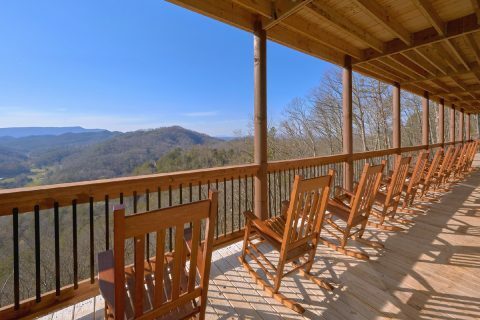 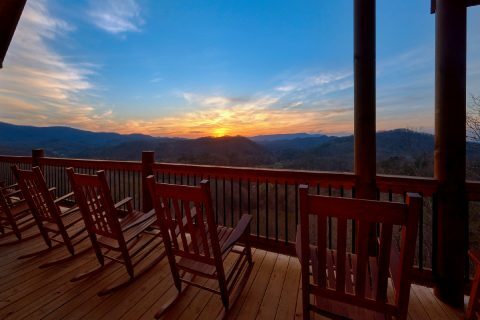 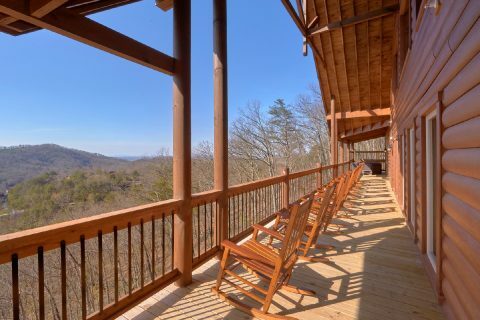 Whether you're relaxing by the poolside or taking in this cabin's nice mountain view from the deck, there's a lot to love about "Smoky Mountain Memories." 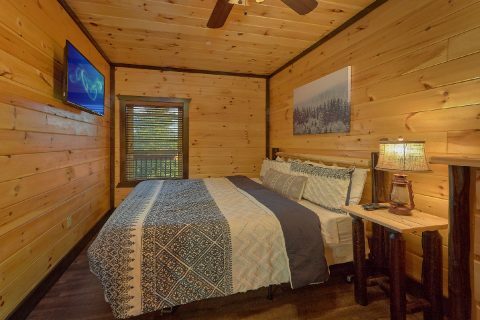 Once you're ready to get a good night's rest, you can look forward to sleeping in one of this cabin's 12 comfortable bedrooms. 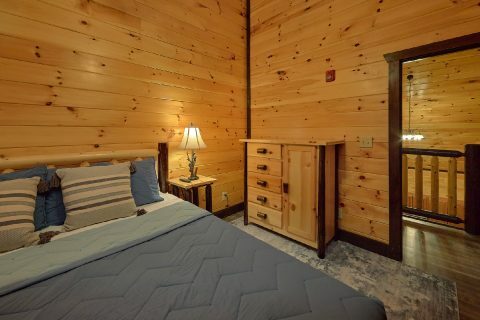 The main floor is home to 4 bedrooms with king beds and two of these rooms provide an extra log futon/EZ bed. 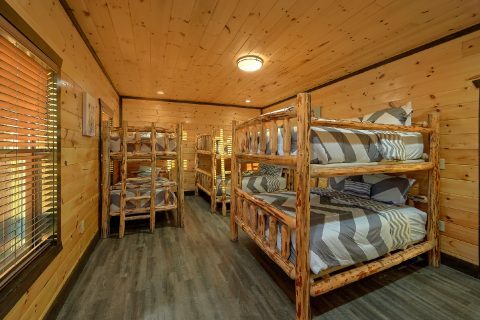 There's also another bedroom with 2 sets of queen bunk beds plus a twin bunk bed. 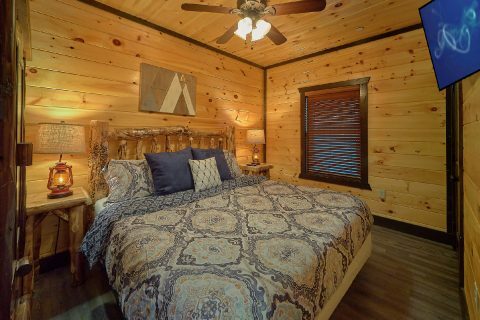 On the upper floor, you'll find 4 more king-size bedrooms and two of these rooms also provide a log futon/EZ bed for additional guests. 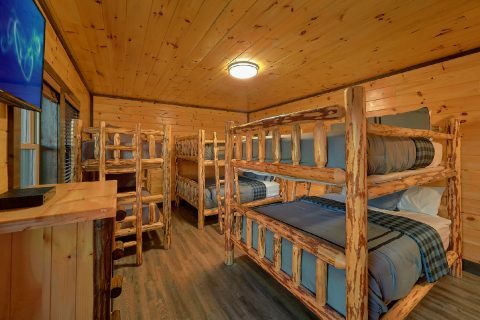 Lastly, the lower floor provides one king-size bedroom, one queen size bedroom, and another bedroom with 2 sets of queen bunk beds and a twin bunk bed. 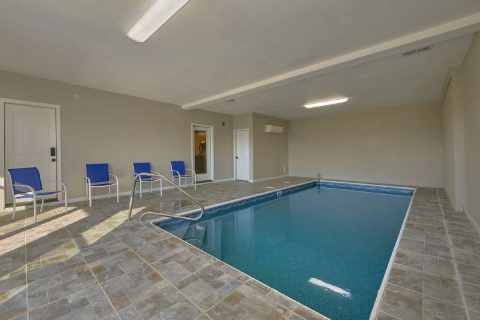 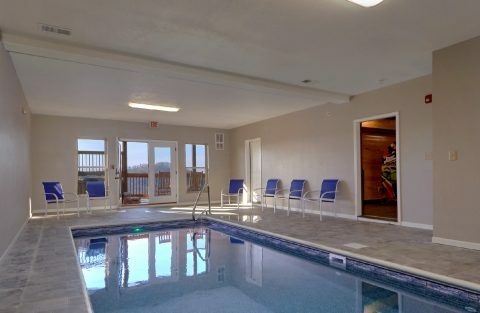 Book this premium group cabin in Pigeon Forge with an indoor and outdoor pool today with Cabins USA Gatlinburg and you'll save 15% on your cabin's rate in the Smokies!